Summer is here! And that means the start of road trip season. But while travel to exciting destinations and roadside adventures make for good, solid, summer fun they can also bring on struggles and difficult moments when AAC is added to the mix. CoughDrop would like to share some simple things families can do to step up their vacation game and help augmentative communication become a smooth part of the ride. 1. Strap it up: AAC only works when it is within reach. But that can be hard when people are crammed into a small space and things get scooched, shoved, pushed, and tossed during a trip. 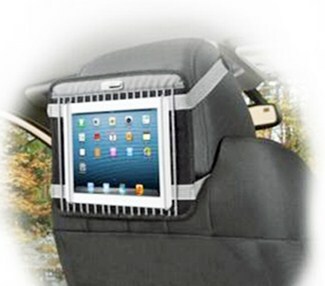 While you can purchase a ready made one, you can also use a simple velcro or elastic strap to attach an AAC device to the headrest of the seat in front of your communicator so that they have quick access to their voice without losing it between the cushions. 2. Keep it on: And speaking of devices, devices need power and that can be a problem when you’re traveling. To conserve power turn off your wifi connection and limit the apps left open at any one time. Down time is a great chance to charge devices, but you have to remember to plug in while you sleep or watch tv. You may also want to look into portable battery chargers which are inexpensive and a quick way to juice up your speech gadget. They are pocket sized and simple to use to keep your iPad or tablet running. 3. Map it out: Sometimes change can be unsettling for children, and creating a simple vacation schedule on a map or in a planner can help ease some of those concerns. Print pictures of destinations, hotels, family members and add them to a time line or schedule so that small travelers can follow along and know what is coming next. It can also help to set a timer for pit stops or snacks (when the timer rings we will have a treat or get out to stretch our legs etc). 4. Print it off: While AAC devices are fabulous, there may be times when an electronic option is not a good fit. At the pool, on the beach, on a trail, there may be places that low tech is better when there are concerns about damaging the device. Before you leave, print basic boards so a physical copy is available no matter the circumstances. Use lamination or sheet protectors to toughen them up then tuck them in a backpack or car seat pocket for quick access any old time. This is also a good backup just in case the device gets broken or the battery dies. 5. 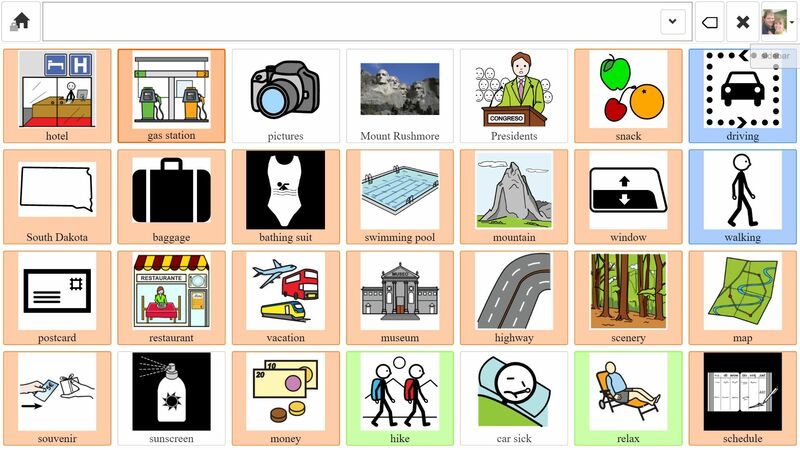 Get Board: It’s likely that while you travel you will encounter things that are new to your AAC user and words they can’t find in their current board set. Take some time to create a speech board which includes new places, words, or ideas you may come across while traveling to keep your communicator in the loop. Review these new words before you leave and help model these fresh phrases as you go. 6. No internet, no panic: We live in a world that relies heavily on the internet, but sometimes, some places, that modern marvel just isn’t available. Be ready for those moments when the internet escapes you. Sync your CoughDrop boards while you still have web access and later you’ll be all set to keep talking even if you can’t reach cyberspace. No one wants to face a tragedy during travel, but unfortunately it sometimes happens. Be ready just in case. Program an “emergency contact info” page or button into your communicator’s device in case they get lost or separated from you and need help. 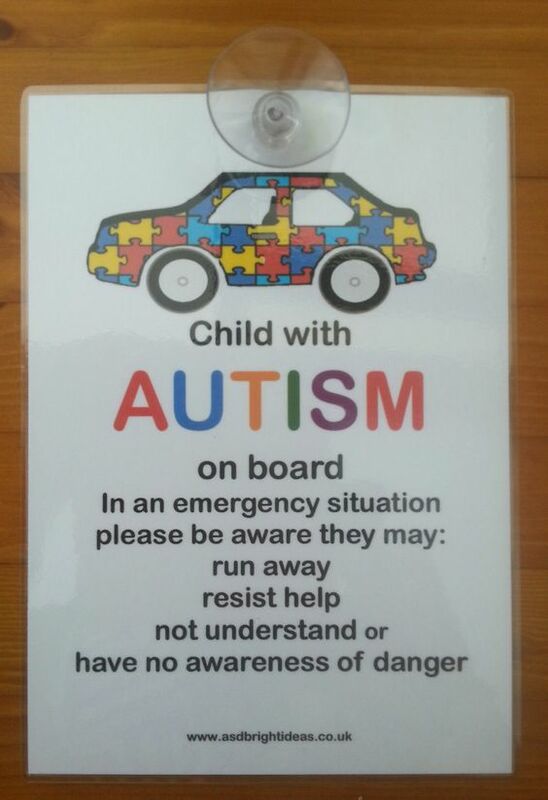 Some parents also post a sign in their car window to alert emergency workers there is a non-verbal or autistic child on board in case of an accident or other emergency. Summer trips are a great way to bond as a family, and a little bit of preparation and planning can help everyone have a great experience on the road.